1 edition of Helessa found in the catalog. Add another edition? Are you sure you want to remove Helessa Or​ Eli Elobda, Meli Melobda, Zgva Popinobda… from your list? 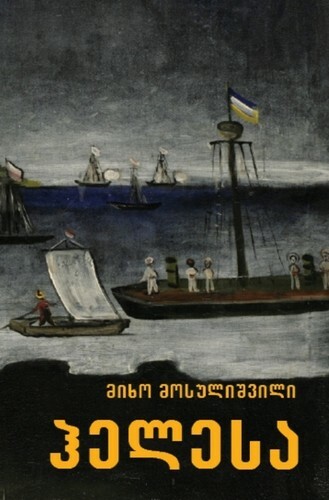 Published 21 May, 2012 by Ustari Publishing in Tbilisi, Georgia . Taking advantage of May Kirbishi’s love, Yashar Badishi tries to uncover the set of directions of making the Kirbishi clan mysterious drug with the aim of selling the recipe to wealthy foreigners, Helen Meyers and Alfred Antopoulos. The oldest family of the Laz people from Sarpi, the Kirbishi family, possesses the recipe of making indispensable medicine curing people. Helessa tells us on the mystery that is part of your soul to be saved even at the expense of your life. May 27, 2012 Edited by 178.134.75.240 Edited without comment. May 21, 2012 Edited by Niko Varazauli Edited without comment. May 20, 2012 Created by Niko Varazauli Added new book.